A series of gatherings focused on celebrating the seasons through creative flower workshops with Miranda Hackett, paired with seasonal cooking from award-winning chef Emily Scott, at the beautifully styled St Tudy Inn in Cornwall. 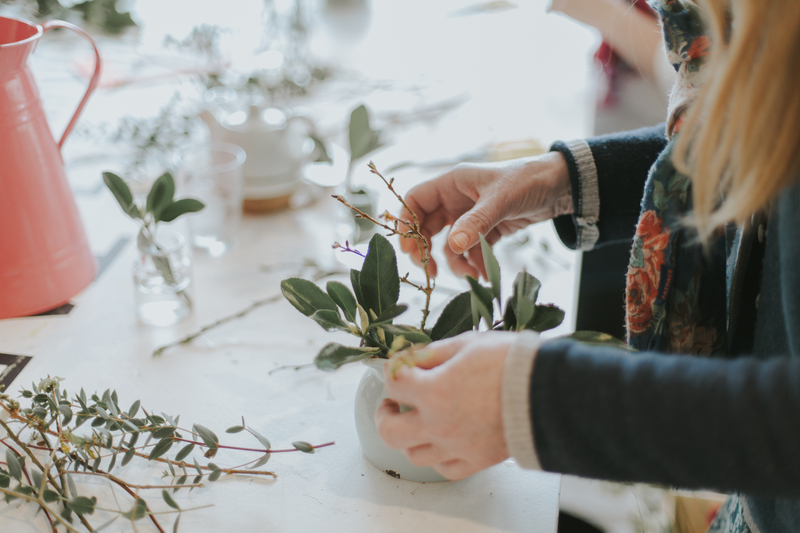 Come and join Miranda and Emily at these creative gatherings for a two hour seasonal flower workshop (10:30am – 12:30pm), followed by a three course lunch with a paired cocktail. You will be welcomed to St Tudy with coffee and cake from 10am. Each gathering will focus on simplicity, seasonality and beauty. 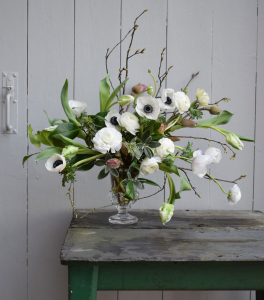 Flowers will be sourced from local growers and styled in a natural and whimsical manner. Lunch will be prepared from seasonal ingredients and combined simply and artistically. Using flowers and foliage typically in bloom in spring and with budding and blossoming woody stems you will learn how to create a wild and pretty table vase or table urn arrangement, full of character and to take home to brighten your own table, or to give as a gift. With Miranda’s direction we will create a summer tablescape using June-time flowers and fresh vibrant foliage, in celebration of British Flowers Week 2019. With additional styling by way of candles, props and linens you will learn how to complete the look and style your own table for a gathering of friends. Each guest will take home their arrangements and a head full of inspiring ideas! Combining the hips, seed heads, textures, whisps, foliage and feature flowers of Autumn Miranda will teach you how to make an imaginative and loosely styled hand-tied bouquet which you’ll then wrap in paper and ribbons for a soft and natural finish. Come and join us by the fire at St Tudy to create your own fragrant and natural wreath using fresh, locally sourced materials and dried festive touches, to display on your door over the Christmas season. We will use generous quantities of foliage to make your wreaths handsome and lush. 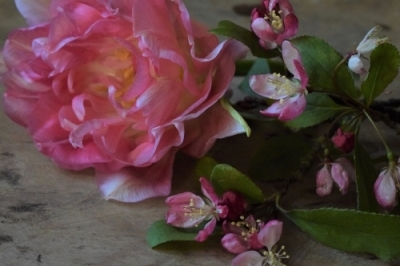 We will be running a series of seasonal flower workshops in 2019 for The National Trust at Cothele, the Tudor ancestral home of the Edgecombe family, perched above the River Tamar in Cornwall. Each of the four workshops follows the seasons. The flowers and foliage used will be linked to those in bloom at Cotehele at that time. After the workshop wander through the grounds and gardens, chat to the garden staff, and see the best suited locations to grow the flowers and foliage used in the workshop. The workshops will run from 10:30am to 12:30pm and will be held in the Edgecombe Tea Room at Cothele Quay where refreshments will be available to purchase before and after the workshop, or where you could enjoy a Cornish Cream tea after your morning’s efforts. 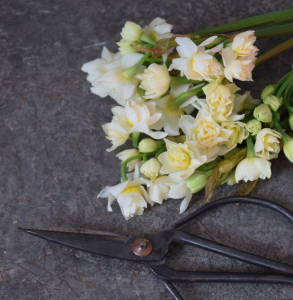 At each workshop Miranda will talk to you about the provenance of the flowers and foliage used before providing a demonstration in a natural and free-flowing style. It will then be your turn to create a beautiful design to take home or give as a gift. £60pp which includes all flowers, foliage, materials and containers. No prior floral experience is necessary. Refreshments will be available to purchase from the Tea Room. The National Trust’s Cotehele, St Dominick, near Saltash, Cornwall, PL12 6TA. Create a fresh spring wreath to hang on your door or give as a gift to your Mother. Learn how to make a hand-tied bouquet using beautiful early summer blooms. Enjoy the textures and flowers of Autumn and create a naturally styled table vase for your home. Always very popular! Come and kick off festivities by creating a wreath decoration for your door using fresh and dried natural materials. Create something unique and crafted by your own hand at this floral workshop, using seasonal flowers and foliage sourced from Cornish and Devon growers. 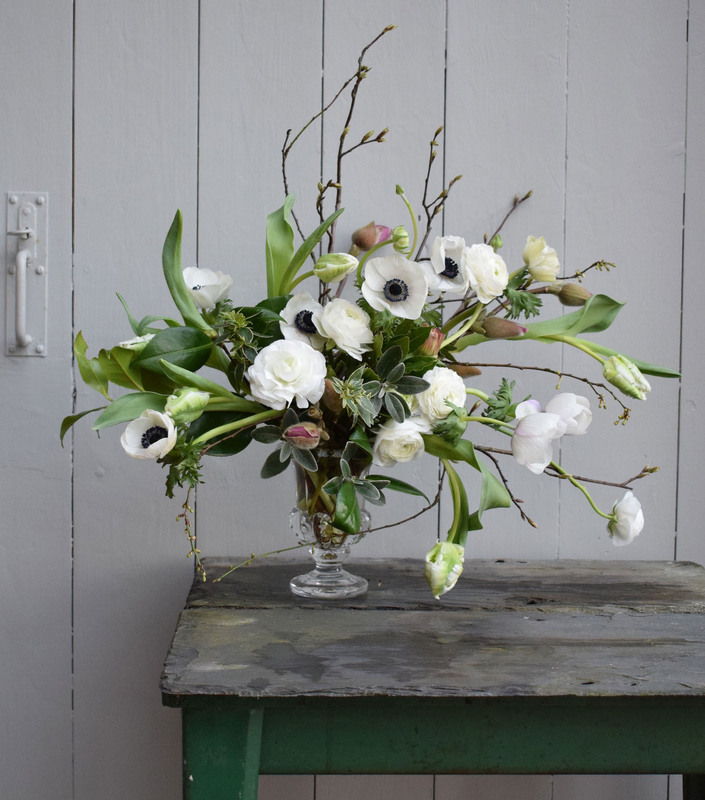 Miranda will demonstrate how to make a beautiful, loose and naturally styled spring bouquet. With Miranda’s guidance it will then be your turn to create your own bouquet to give to your mother or to enjoy at home. Or bring your mother with you and enjoy this floral experience together (and receive a 5% discount on your joint booking). If you haven’t already been to Ocean Studios at Royal William Yard then prepare to be in awe of the beautiful, industrial Grade I listed features of this incredible building. Expect lots of raw walls, cooking apple green features and to be flooded with natural lighting…..all very inspiring! Thank you to The Brownston Gallery who will host us for this special workshop in aid of St Luke’s Hospice, Plymouth. 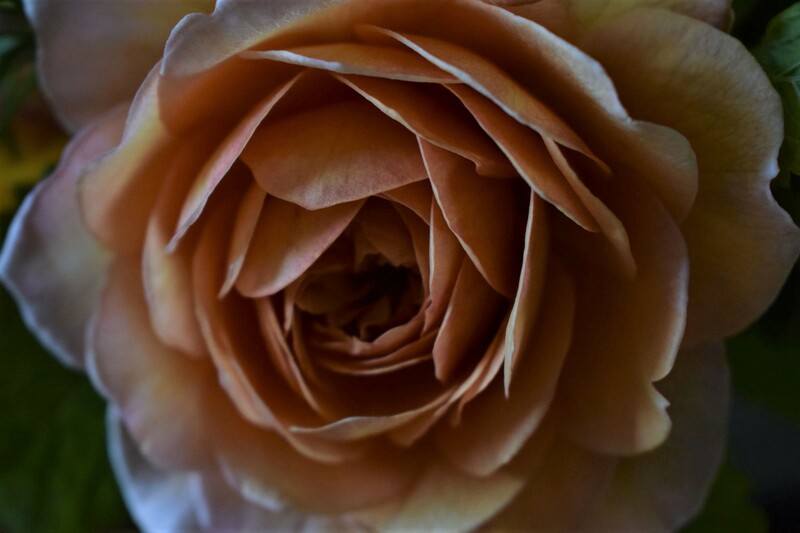 At this workshop you will learn how to and then make a beautiful hand-tied bouquet of early summer flowers, whilst surrounded by the artwork of the Brownston’s ‘Earthly Delights’ exhibition. The Earthly Delights exhibition brings together three South West artists who are inspired by the land around them. Teresa Pemberton, Joanna Vollers and Sue Luxton each paint in very different styles and bring their own character to this exhibition of land inspired beauty. Exhibition runs from 10th to 31st May. St Luke’s Hospice Plymouth is an independent charity providing specialist advice and support to people with progressive life-limiting illnesses in Plymouth, South West Devon and East Cornwall. All profits from this flower workshop will go to St Luke’s. Such an enjoyable and creative way to spend a couple of hours with your friends in the comfort of your own home. Why not make it a regular feature, a Flower Club, to mark the seasons? And wouldn’t it make a memorable hen party?! Pricing varies depending on location and numbers in the group but is usually around £60 per person.